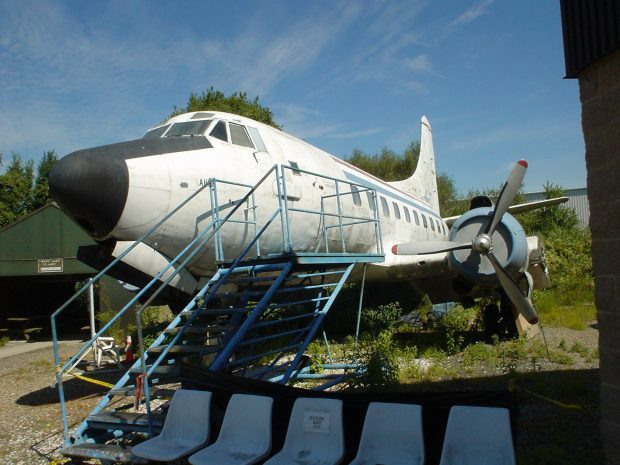 One of the few remaining vestiges of the golden age of piston powered air transport in the New York area can be found in the outside display yard of a small air museum in Teterboro, New Jersey. The collection of the Aviation Hall of Fame and Museum of NJ contains a Martin 202A, a short-to-medium range twin-propeller airliner produced just after World War II. The Museum’s 202A is unique in that of the 48 produced, this is the last remaining example of the type. Martin 202A serial number 14074 was built in 1950 at the company’s factory in Baltimore, Maryland and delivered to Trans World Airlines (TWA) with the registration N93204. 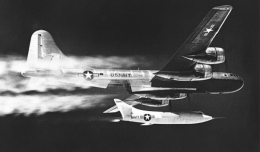 The legendary carrier ordered the unpressurized 202s as a stop-gap aircraft until Martin could deliver their larger and pressurized 404 model. The original 202 suffered from metal fatigue problems involving its wing spar almost immediately after entering service, leading to it being temporarily grounded and modified into the 202A with a strengthened airframe. 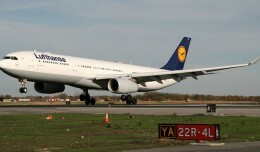 The final 13 airplanes off the line were built straight to the 202A standard, including N93204. The modified 202A was only offered for a short time, as the 404 would soon be ready, resulting in the short 48-frame production run of all 202 variants. TWA leased 12 from the manufacturer and used N93204 for most of the 1950s and into the 1960s. 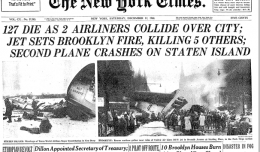 The airplane would have flown routes for TWA such as LaGuardia-Philadelphia-Pittsburgh-Chicago-Kansas City. 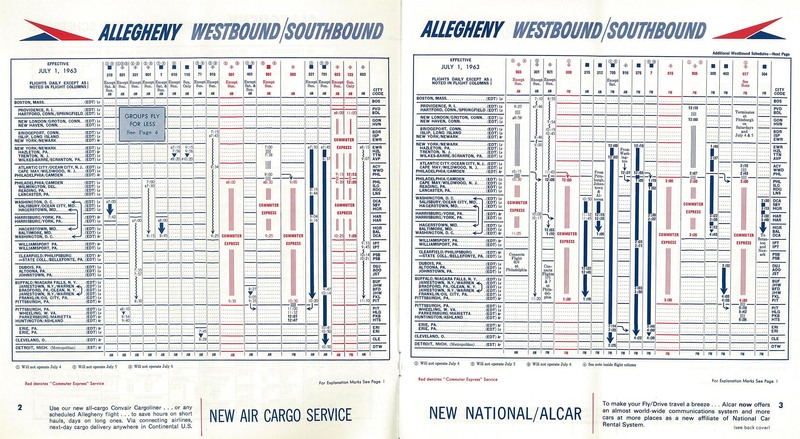 N93204 then went to regional carrier Allegheny Airlines who flew it for several years in the 1960s. 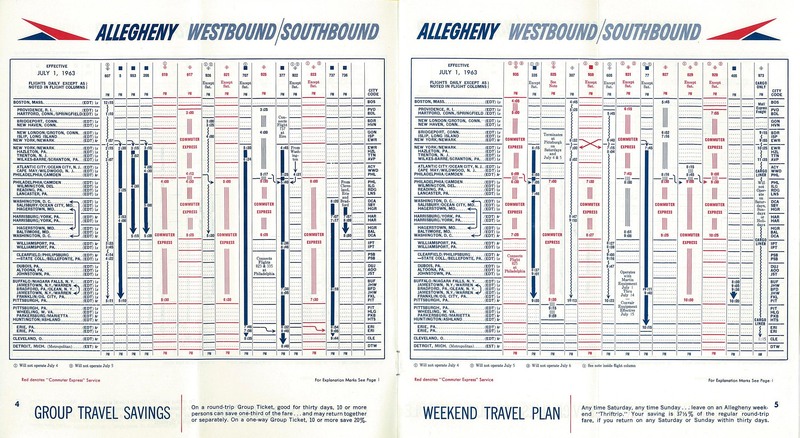 Allegheny’s service in the New York area included routes like Newark-Atlantic City-Wildwood-Salisbury-Washington and Newark-Wilkes Barre-Bradford (PA)-Jamestown (NY)-Erie-Detroit. The 1950s and 60s saw rapid development in airliners, and Allegheny soon retired the obsolete type, despite being less than 20 years old at that point. The airplane is believed to have been stored at Wildwood Airport in Southern New Jersey for about 15 years starting in the late 1960s and ending with the museum’s acquisition of the airframe in the early 1980s. 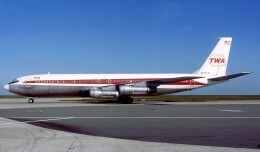 A few years later, the museum opened the airliner’s 35-seat cabin to the public. Since that time, tens of thousands of museum visitors, many of them children, have had a chance to get a feel for what it might have been like to fly out of nearby Newark Airport in a classic “propliner” nearly 70 years ago. During the past three years, a nearly complete cabin restoration has been completed on N93204, and the museum expects to have a cockpit restoration finished in the spring of 2018. The next step is to repaint an exterior that has borne the brunt of a four-season climate and the Meadowlands region’s sub-optimal air quality since it was last refinished in generic white paint over three decades ago. A somewhat happy consequence of the extreme wear on the current finish is that the previously covered-up Allegheny “Speed-Wedge” logo on the vertical stabilizer is becoming visible again. The estimated cost to do a complete strip and repaint in full period Allegheny colors, taking environmental regulatory costs into account, has been estimated at $60,000. The museum hopes to be able to accomplish this in stages over a period of years as this is quite a large sum for a relatively small institution. 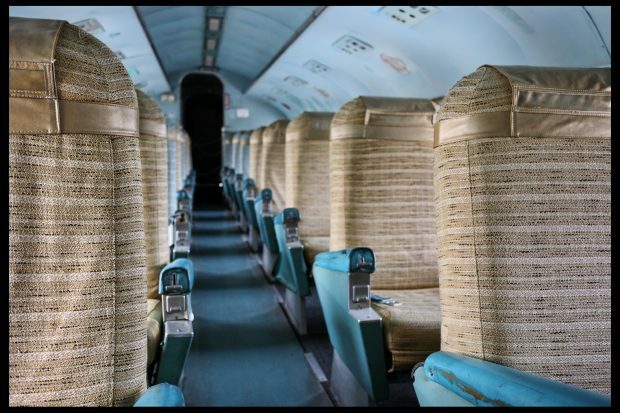 In the meantime, the public will be able to fully enjoy the inside of one very rare and special airliner residing at historic Teterboro Airport.